Google is working on a touchscreen laptop loaded with Chrome OS, and the hardware will be on store shelves before the end of the year. Sound familiar? There are few details in the Journal report about what the reported touch-based Chromebooks' specs would be or whether it would be a convertible or standard clamshell notebook. It's also not clear which major computer maker would manufacture the laptops, according to the Journal report, or when the devices would go on sale—other than a vague target of before the end of 2013. The last time rumors of a Chrome OS touch notebook surfaced there was some speculation that Google would design and build the laptops on its own without a major manufacturing partner. If Google is going it alone for building Chrome OS touch devices, that would contrast with how the company designs its Android-based Nexus devices in partnership with well-known companies such as Asus, HTC, and LG. 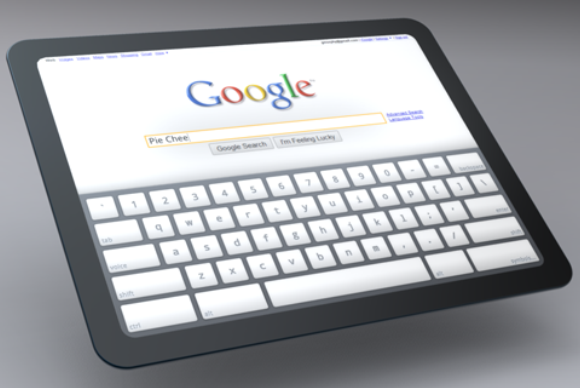 Google has worked on incorporating touch into Chrome OS for some time. In early 2010, just one year after announcing Chrome OS, mockup images and early ideas of a Chrome OS-based tablet popped up on the Chromium Project website. Chromium is the Google-led open source development project that Google Chrome and Chrome OS are based on. By mid-2011, references to Chrome OS for tablets began popping up in the Chrome OS source code, as first reported by CNET. The company confirmed to CNET at the time that it had begun work on a tablet version of Chrome OS. Google’s 2010 Chrome OS tablet concepts are still available online, but it appears little work has been done on the ideas since they were first discovered three years ago. That can probably be attributed to Google’s preference for putting Android on tablets that started with the Motorola Xoom in early 2011, the first tablet running a version of Android specifically designed for touch slates. The Xoom was soon followed by tablets such as the Samsung Galaxy Tab 10.1, the Asus Eee Pad Transformer, and more recently Google’s Asus-built Nexus 7. But now with Microsoft incorporating touch into laptops with Windows 8 and Android tablets starting to see some gains against Apple’s iPad, Google appears to refocusing on improving Chrome OS for notebooks. In mid-2012, Google released a version of Chrome OS with a more desktop-like feel instead of just a browser that occupied the entire screen. Several months later, Google and its manufacturing partners released a number of Chromebooks with relatively low- and high-end pricing. A rumored touchscreen Chromebook then, would be appear to the next evolutionary step for the platform as Google attempts to convince more people to give up their desktop apps for cloud-based services. The Journal’s report follows rampant speculation about a Google-branded Chromebook dubbed the Pixel that would feature a high-resolution display and an Intel Core processor. The speculation was set off by a concept video that has since been dismissed by some critics. This story, "Is Google really working on a Chrome OS touchscreen notebook?" was originally published by TechHive.